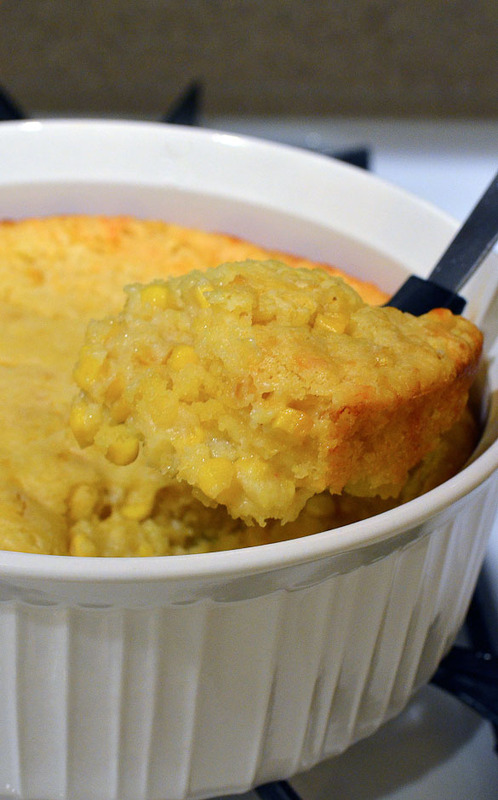 Corn Casserole is one of the easiest side dishes you can serve during the holidays. 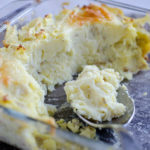 Serve with or without cheese mixed in, either way this corn casserole recipe does not disappoint! 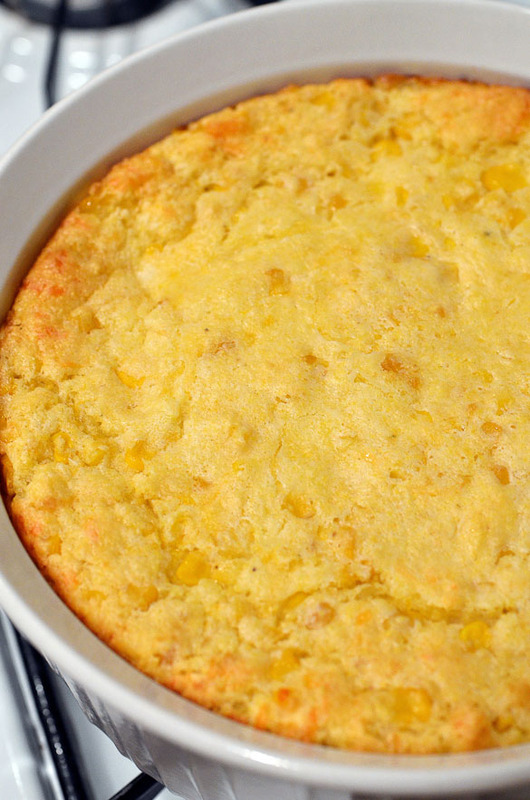 Corn Casserole is one of my favorite sides during the holidays or at potlucks during any time of the year. It is the easiest recipe to throw together and can be prepared with various ingredients mixed in. Me? I like it in its simplest form, with mainly cheese, corn and corn bread. Mmmm…mmmm…good! A favorite of ours not only during the holidays but year round, too! Preheat oven to 350 degrees F. Grease a 9- by 9-inch baking pan or a 2 quart casserole dish. Mix together the corn, Jiffy, sour cream and butter in a large bowl. Stir in the cheese. Pour into the prepared pan. Bake for 55 minutes, or until golden brown and set. Let stand 5 minutes before serving. Note: You can bake for a shorter time in a 9x13, but the texture will be different than baking in the 9x9 or 2 quart casserole. The 9x13 will be thin slices where the 2 quart casserole produces more of a corn pudding. Either way is delicious. I added too much butter…should I remake it??? Butter won’t make that bad of a difference depending on how much. Did it turn out good? i love these dishes, corn souffles and casseroles are an underrated side dish! I made this recipe last year for the first time and everyone loved it. Yours looks great! So where does the cheese go? Do you mix it in or serve on top? 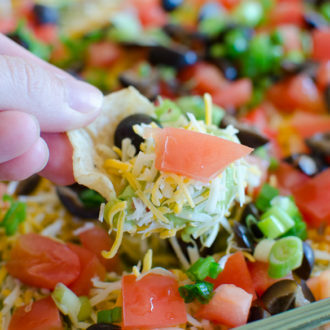 We always make this at Thanksgiving but have never added cheese to it…. YUM! what a coincidence – my friend told me he was making corn casserole for thanksgiving dinner. 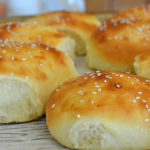 i’d never heard about it before, but came across this recipe just a couple of hours later! it looks yummy! Thanks for this recipe! I can’t wait to make it at a family get together! I love this recipe…I throw slices of pickled jalapenos in mine (idea courtesy of Deen Bros.!)…yum! I live in Australia what can i use in replace of Jiffy? Hi Tara, I’m sorry, I have no idea. Maybe you can find a solution via a Google search. You can double the recipe and use a 13×9? Can you make this the night before? Yes, then reheat in the oven until warm. When doubling the recipe, should I double the time? Tara, you can use any 8 ounce corn muffin mix!!! Ther are recipes or home made “jiffy” mix on pinterest….very easy an no added preservetives!!!! 2 cups yellow cornmeal (self-rising), 2 eggs, 1 stick of melted butter and add the rest of the ingredients. What is the texture of this supposed to be? It’s hard to explain. Mushy, is my best word for it. Its not supposed to be like corn bread. Kind of like a cream corn, but cakier. But, not as cakey as corn bread. Does that help? One question!! Do you mix up your jiffy mix per box instructions then mix all ingredients together. I have made it that way and it seems really gummy!! Thank you Nikki!! That’s why mine turned out so gummy then!! Just came across your blog on Pinterest and can’t wait to explore! !Happy Thanksgiving!! To make if fluffy(soufflé texture), I do whip 2 egg whites until stiff. Fold into your casserole and bake @ 350 F. for 45 minutes. Thanks Krystal. The recipe above actually calls for cheddar cheese, too. You can probably sub for Greek yogurt or something else, or maybe even leave it out altogether. But, the taste (and possibly texture) will be altered. I also haven’t tried any of these substitutions so can’t tell you this from a tested and proved stand-point. If you try it, come back and let us know! My aunt made this for Thanksgiving (though she got the recipe from a friend) and it’s soooooo good. 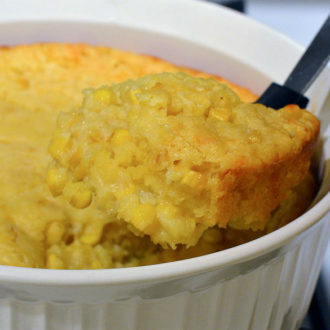 I have always made corn casserole like this…..and it’s a huge hit!! Mix together 1 pk Jiffy, put in bottom of greased casserole dish. Mix together corns, chilies, and cheese. Pour on top of the Jiffy. Mix together last pk Jiffy and pour on top. Bake at 350 degrees for about 30 min….watching for top layer of Jiffy to be golden…..ENJOY!!! …..gonna try your version too!!!!!!!!!!!!!!!!!!!! What size baking dish do you use Candi? When you say mix together 1 package jiffy. What do you mix it with? Do you use it dry or do you follow the instructions on the box? Recipe not very clear. The recipe says “Mix together the corn, Jiffy, sour cream and butter in a large bowl.” Do not follow the instructions on the Jiffy box, you are just using the dry mix. Thanks. Everyone ask me to make this every Thanksgiving and Christmas. Made this tonight and it was very good. I used fiesta corn (with the bits of red and green peppers) because I thought it might be a bit bland…and added a tablespoon of sugar to help sweeten it a bit. I’ll def make again with the fiesta corn and possibly add a bit more sugar! Thanks! Made this the other night and it was SO GOOD! also i was reading some of the post. I mix my jiffy mix per box instruction then add corn sugar real bacon bits & sour cream also i add a little bit of pepper..
That is why I asked. When I watched the video she uses a 9×9 or maybe 10×10 dish. I did just read a lot of her reviews and some double and some do not. I guess it just depends on how fat you want it. 😉 Sounds delicious, regardless. Ok so double the ingredients and the time? Hey! 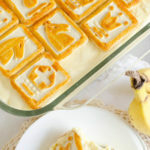 I am making this for tomorrow (Thanksgiving) and wanted to know if i can make I­t­ tonight and freeze I­t­ for tomorrow? This recipe is soooo good. I haven’t made it in ages. Maybe I’ll dig it up again. I made the corn casserole for Easter dinner.It was a big hit.Very good. Thank-You. 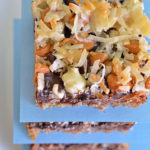 LOVE LOVE LOVE THIS RECIPE!!!!!!!!!!!! So easy to make and love the sweetness. 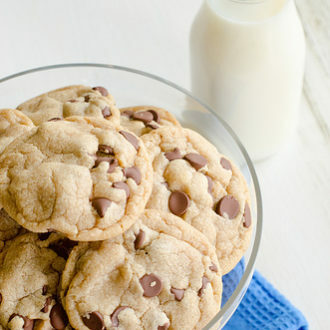 I live this recipe!! I love adding jalapenos for a extra little kick!! I absolutely love this recipe. I try to make it whenever I get a chance. Everyone that has tried it loves it as well. 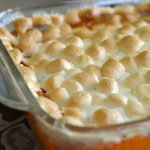 Did anyone else use a 9X12 pan as directed for this recipe? My casserole came out very thin and over done. I followed the recipe with no additions or substitutions, could it have been the pan size? Hey Jane! I used it the very first time I made this recipe and thought the same thing so I just either double the recipe or use a smaller dish to thicken it up. Thank you for your reply, I will try again! If you double the recipe, how long do you bake it? Can the corn casserole be prepared the night before but cooked the next day??? Looking forward to having this at my BBQ but trying to make as much ahead of time as possible. I made this in a muffin tin for the sake of individual portions (makes 15 “muffins”) and then froze them. Just reheated my first one in the microwave for about a minute and a half. How long did you bake the corn casserole when using muffin tins? 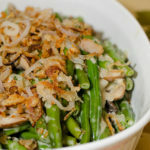 When I make this I add a small can of chopped green chilies and 1/2 of a iced onion. It’s fantastic! Can I make it in a crockpot? Any ideas on the cooking time. Can I substitute cream style corn for anything I want to make this tonight but don’t have one.. Otherwise, I’m not sure of a substitute. Making this right know actually! Just popped it in the oven! Can’t wait to taste it! I’m a newlywed and always looking for new things to make! My daughter makes this and it is delicious. I now make it. One of my favorites and so easy to fix. I make this corn casserole but add onions in. I saute onions in butter then turn off stove once the onions are cooked and then add the sour cream to onions and mix this in the mixture. Mmm! I used a 9 x 13 and it was quite thin but also tasty. Would using a 2 quart casserole dish be okay? Yes, I actually always use a 2-quart casserole dish and have been meaning to update this recipe. 🙂 I’ll go do it now. Actually, the original recipe calls for the 9×13. Actually, if you watch the video Paula uses a 9×9 or an 8×8. The recipe is *written* by food network incorrectly. Interesting. I never watched the video until just now. The first few times I made this, I used the 9×13 as directed and really liked it. But, then I decided to use my 1 1/2-quart or 2 quart casserole dishes for the prettier presentation. I do agree it tastes better in the smaller casserole and would taste better in a 9×9 as well. Going to update again! 🙂 Thanks, Hot Dog! I did mine in a 2 quart casserole. It’s really thick. Cooked on the outside but doesn’t taste very cooked in the inside and I’m freaking out. I cooked for an hour. If I cook anymore I’m scared the outside may get burnt. It’s for tomorrow but I cooked it tonight. Just found this recipe this week thru Pinterest. I have made it 3 times in 5 days at my family requests. 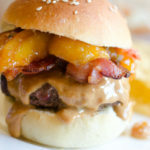 I know this will be something I make quite often..My husband says his favorite restuarant should be making this..LOL. Thanks for the recipe. Made this today for Labor Day cook out—-it was AMAZING!! Will definitely make this again. Thank you! This reminds me of a side dish we had a Quality Meats in NYC- corn creme brûlée. I am making it right now and let you know how it compares!! If you use a 2 quart casserole and double the recipe, would you still cook it the same amount of time as suggested? If you double the recipe, you will probably need to bake it a little longer. I’m not sure it would all fit in a 2 quart casserole, though. The photo above is either a 1 1/2 quart or 2 quart and it’s pretty full as is. How long will this keep and how does it reheat? I am making if for a family reunion but its tomorrow and I was wondering if I could make it today and re-heat it in the oven tomorrow? This was soooo yummy! My husband fell in love with me all over again! I have used this basic recipe for 10 years. I use sour cream green onion dip and no cheese or chilies. Real good with turkey and all the trimmings. 5 grandsons love it! I have made a variation of this receipe for years. My family loves it with onion and bell pepper added as well. Delicious! I sometimes add crumbled bacon, course most things are better with BACON!!!!! sometimes I add crumbled bacon, course most things are better with BACON!! when u make this do u use the juice in the corn??? The cream corn or the whole kernel corn? The ingredients list states to drain the whole kernel corn, but you use the entire contents of the cream corn. I have made this for forever and it is delish, but I don’t put cheese in it. Drain the whole kernel corn and don’t drain the creamed corn. Sometimes I add a small can of Mexi-corn for some spice (corn with red and green peppers mixed in). Add a little extra cream if it’s a little dry. You really can’t mess up this dish! I also make this recipe every Thanksgiving and Christmas.It is a family favorite as well. When I pinned this, the description said to add 2 eggs, is that a typo, bc I don’t see where it says to add eggs in your above recipe. Thanks! Hi Gen, There are no eggs in this recipe. Maybe whoever pinned it (from where you repinned) added that in the description box. i ALWAYS USE EGGS…it keeps it moist and keeps it together !!!! I’m making this as we speak and it is still very runny. 🙁 I used a 1 1/2 quart casserole as instructed in the recipe and followed everything else exactly. It’s WAY too much for this size dish! The top is burning but the inside is still liquid. So disappointed. Next time I will definitely use the 9×13 dish. 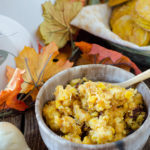 Where I live, we add a little bit of sugar, no cheese, and call it “Corn Pudding” LOL The name doesn’t sound as appetizing, but it’s still my favorite part of Thanksgiving! Didn’t have sour cream, so used plain yogurt instead. Also cut up a package of hot dogs into bite sized pieces to add to this. Really like the yogurt better than the sour cream.. slow fried onions are going in next time we make it.. The recipe I use calls for two eggs in addition to the ingredients listed in the recipe. I bake my Corn Spoon read in an 11×7 inch casserole dish. It’s great paired with pinto beans. The recipe I use is com Cooks.com. You forgot to put the eggs in the recipe! Nope, no eggs included in this recipe. I make this same recipe with the addition of 8 oz of cream cheese and no cheddar. I use a 2qt casserole dish. Has anyone tried this in the crockpot? I’ve made this many times with the addition of a small can of green chilies. It’s always a big hit ! Can this casserole be prepared the night before and then placed in the oven the day of use????? I’m planning on making this for Thanksgiving this year, but I was just wondering about the consistency of it. I know you’ve been asked a few times already, but I was wondering if it’s something you can cut in a dish like you’ve shown and lift it without it being too mushy and falling apart. I am making this for the upcoming holiday and really want to use my cast iron corn cut out pan for individual pieces (not sure that is the appropriate name for the pan). any suggestions or comments (cook temp cook time)..
Can you mix it up the day before and bake the next day? It seems like yes but has anyone done it before? I think that should work just fine, but I haven’t tried it to be sure. I was wondering if using a foil pan would b ok. Thanx! Just made this for the first time tonight. It was a hit! It actually reminded me a lot of the little scoop of corn tamalitos that you get at Chevy’s (Mexican restaurant). Thanks for sharing! What if I doubled the recipe and baked in a 9 x 13 pan? Do you think that would bake all the way through and be the right consistency? I would rather take one large casserole than two small ones. If you double it, you will need to bake it longer. Just keep your eye on it. I use cream cheese instead of sour cream!!! I also used a second box of corn mix to make it more solid and grainy!! I also use an extra can of corn. I have made a corn fritter casserole that is basically the same, but instead of one can of whole kernel corn I use the medium sized can of Mexican corn. I also replace the sour cream with french onion dip (like you buy a pre-made in the refrigerated section). Yummy! Just wanted to ask something…on the picture it lists eggs as an ingredient but when you go to the recipe eggs are not listed…are they supposed to be in the casserole? I did make this on Thanksgiving without the eggs and it was a big hit. It was requested that it be added to our usual list of holiday sides in the future! I was delicious! My photos do not list “eggs” as an ingredient so I’m not sure what you’re talking about? There are no eggs in this recipe. This looks so good! Im making for Christmas Eve dinner. Do you think this could be made the night before it is baked and left in the fridge? I think that would be fine, but I would put it in the oven during preheating. Yum! I add a little bit of vanilla extract and it gives it a sweet flavor without adding any sugar. You should try it! Thanks for the recipe! I really want to make this for our Christmas meal tomorrow but I only have a big bag of frozen corn and no creamed corn. Can I just use the frozen and add some extra to make up for the creamed?? It’s very good if you put jalapenos in it! I’ve made this casserole every year for Thanksgiving for the past 25 years at least. Everyone looks forward to it as one of the traditions of the Thanksgiving feast. You can’t go wrong with this recipe! 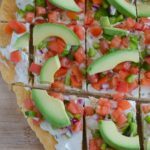 I found this recipe (and your fantastic blog!) 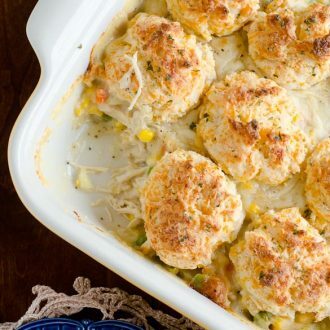 via Pinterest, and I made this Corn Casserole the same night. I didn’t make any changes to the recipe. It. Was. Fabulous. Thank you so much for giving me another family favorite! By the way, as yummy as it was that night, it was even better the next day! Hello! Thanks so much for this recipie, it was great! Mines came out looking exactly like the pics posted! 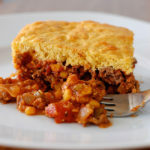 We had a corn casserole dish, but not with cornbread and we used eggs, but this recipie was perfect! The only change that I made was that I aded about 2 tablespoons of sugar and it was absolutely delicious, this recipie is definently going into rotation, I can’t wait to make it again and it was definently just as good the next day and the day after that!. You can reheat in the oven on warm or in the microwave for about 2 minutes, maybe less depending on your microwave! This was an easy recipie that was well worth the time and ingrediants! This casserole was just delicious!! I made it as instructed, except I used 1/2 cup of cheese and 3 tablespoons of sugar and it was nice and sweet, we loved it. We had a recipie or corn casserole but without the cornbread and with egg. But this is a new family favorite! Thanks for the recipie! I’m making this for Easter dinner to share with a large group of friends. I watched the Paula Deen video on food network and although the recipe calls for a stick of butter in the video she says 1/2 stick. Since I’m doubling the recipe, I was wondering if I should use 2 sticks of butter or just 1? Do you use 1 stick of butter in yours or 1/2? Thanks for sharing the recipe! Hi Christina, It’s somewhat a sweet corn casserole, but everyone has different taste preferences of what is “too sweet”. I was making this for my 1 year old & I, so I tried to “healthy” it up a bit. I replaced the butter with coconut oil and sour cream with plain Greek yogurt. I also added a second box of jiffy mix because the consistency seemed a little thin. Can you use frozen corn in place of the canned corn? I haven’t, but you probably can! Made this with Greek yogurt instead of sour cream and paired it with curried lentil soup…SO FLIPPING GOOD!!! I’ve already made this three times!! My husband can’t get enough of it!! I want to make it for Thanksgiving, can I triple the recipe?? This was DELICIOUS! I made it with some chili. So so good. I tried it with & without cheese on top (just sprinkled it on half) & I preferred it without. I thought it needed just a teeny tiny amount of salt. However – as a leftover, it didn’t need it at all! So weird. I actually preferred it as a leftover. It was a little more solid & cakelike. Delicious! Would love to try it in the crockpot. Tried for the first time today, served with chicken wings, Very good and will make again. Do I have to add the cheese? I don’t really like cheese. So would it taste ok without it? Ig anyone had ever had voodoo BBQ, they have a corn soufflés that is delicious! Hoping it turns out kinda like this. I’m wanting to make this for a work potluck using a 9×13 and doubling the recipe. If I were to make it the night before, any idea of how long it would take to reheat? I do not know the exact time it would take but I would put the casserole in while the oven is preheating to 350 and check it every 10 minutes until heated through. Do you cover this with foil when baking? 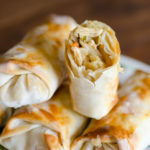 I have made this recipe but I exchanged cream cheese for the sour cream and cheddar, not sure how or when that started. But it is creamy with a hint of sweetness. Love it! I’m going to try this version next. Thanks for posting! 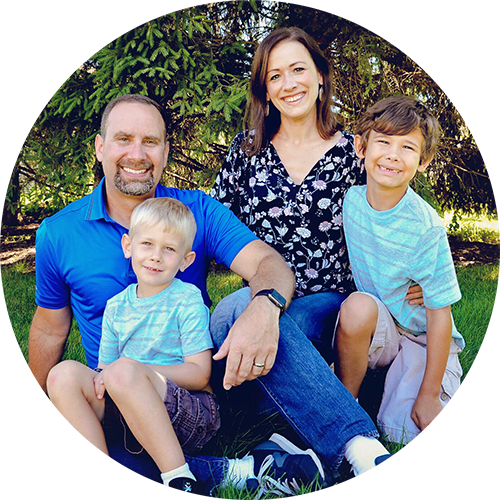 Can you make this is a foil 9×9? I found this last year on Pinterest and made it and loved it. I took it to Thanksgiving and got a ton of rave reviews and requests for it to be made again for Christmas. A year later more requests. Thank you so much for sharing! Happy Thanksgiving. Can you make this in a muffin pan instead? 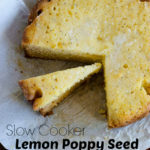 I love this recipe and I’ve made it before fresh before a potluck. Do you have any suggestions on how to best reheat it if I need to make it the night before? the eggs aren’t listed in the initial recipe. but they are included in your step by step direction on pinterest. you might want to add the eggs to the ingredients. sorry, it was the person that put it on pinterest that had eggs in hers. Not your recipe. Does yours not use eggs? I have made this for many years (25) and always put 1 egg in it. It’s delicious huh! I have made this the past 2 Thanksgivings, it is so good. I am getting my list together for this year. Adding this comment that you can definetly make this ahead and reheat on Thanksgiving. This was so easy! I plan on making it for Thanksgiving, any suggestions for baking time if I double the recipe? 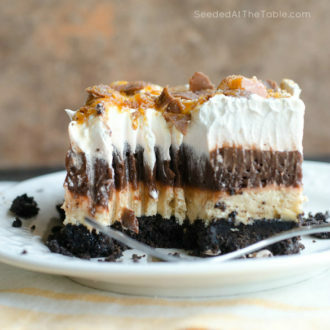 I am making this now and want to serve tomorrow. How long and what temp would you reheat it for? I typically reheat at 350 until heated through. The timing will depend on the size of your pan. Can you prepare the corn casserole the day before and the bake day of? Hi Licia. Yes, you can. I need to make and bake the night before and will only have a microwave to reheat it. Since it will be in a 2qt. round baking dish, how long should I microwave it? Hi Alison, I haven’t microwaved an entire dish to reheat, so it will take trial and error on your end. Please come back and let us know how long it took! Your recipe on the Pinterest site shows eggs but when you come here to your website, it doesn’t. Do you use eggs? Thank you! It looks delicious! No, I do not use eggs. Please follow the recipe as listed in my blog post. 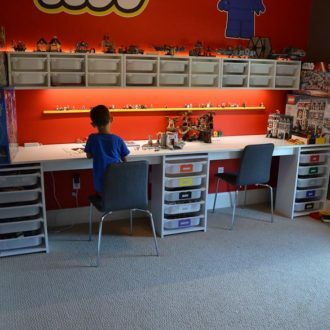 The Pinterest pin is more than likely someone else’s description and not mine. 🙂 Thanks! Yum!! I will have to make this for dinner this weekend. It looks so good! If you use these exact ingredients…would it be gluten free? I can’t speak to what is or isn’t gluten free, but maybe someone else who is more of an expert in that area can pipe in? Something I have always done with much success, is to use 1 or 2 cans–depending on the amount of casserole–of cream of chicken soup, instead of sor cream. I do this because not everyone likes sour cream; and not everyone is lactose tolerant. Cream of chicken soup is fantastic in soups, stews, and all types of sauces, and meals. You ought to try it, I think that you might like it. I know that cream of chicken is not a very healthy food, but it tastes absolutely delicious; what is thre not to love about that? As long as you have it in moderation!…. I made this last year for thanksgiving and out of all the dishes I made this was the favorite!! Will be making this again! I put my cheese on top the last 15 minutes of baking. We prefer it that way. Hi! Can I prepare this the day before I bake it? Ok to just leave the prepared ingredients in the fridge overnight? Also, any recommendations for cooking time if I double the recipe (and use a 13×9 baking dish) AND have it in the oven at 325 degrees? It will be in with my turkey. Yes, it can. Rewarm in the oven. What kind of cheddar is best? Mild or sharp? I would like to make this in a 9″X9″ bake wear dish that is about 3” deep… how do I adjust the cook time??! Thanks! this will be a perfect side to pulled pork. My family loves this! So good. Hi, on the pin it shows 1/8 cup of sugar but when I clicked on the make it and goes to your page there isn’t any sugar in the ingredient listing or instructions. Is it a typo or is sugar part of the recipe? Bake it covered? Or uncovered? Hi Nikki! A lot of recipes for corn casserole call for 2 eggs & no cheese. I’ve never made this before & stumbled on your recipe. Have you ever made it with 2 eggs before? Do you drain the corn? If doubling, is the time doubled as well? Yes, the ingredient list instructs for you to drain the corn. 🙂 BUT… don’t drain the cream-style corn. As far as doubling, I haven’t done it so not sure how long. I’ve instructed in the past to bake the same amount of time then check it after 10 more minutes. It will depend on if you’re using a deeper pan or a wider, more shallow pan, too. Come back and let us know what you did! Thanks! I found your recipe about 4 years ago and made it, exactly as the recipe stated, for our family’s Thanksgiving get together. From the little toddlers to the adults, it was a real hit!! Now it is requested Easter, Thanksgiving, Christmas or whenever we get together!! Thanks for posting. Happy New Year! How wonderful, Joye! Thank you for sharing! Happy new year to you, too! This corn Casserole sounds really good. Hi I accidentally added too much h butter!!! Will this mess up the recipe? Should I remake it?? Can you prepare this dish ahead of time and freeze it for another time? Perhaps thaw in the fridge and then bake it off? Has anyone done this? Hi Colleen! I haven’t tried this, but maybe someone else who has can pop in and answer? Hi Bwg, This recipe does not call for an egg. If you add one, it will probably give a more fluffy or souffle type texture. help! for this corn casserole do i use sharp cheddar or mild cheddar?